Sampsistemi has a solid technical experience in the cable insulation. Our lines and machines are flexible and versatile satisfying specific clients’ requirements. 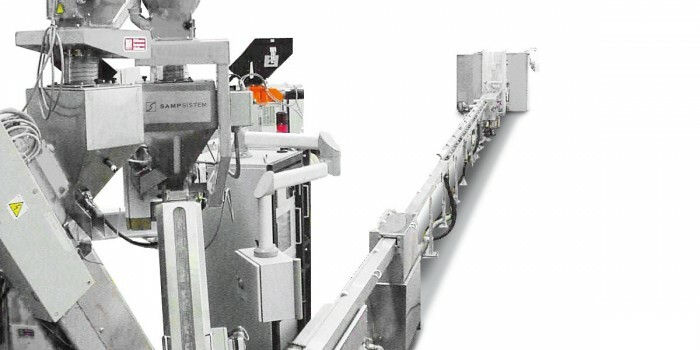 We are also able to provide you with sheathing or jacketing line with your final product requirements. Cables insulated with fluoropolymers are traditionally used in aerospace, military and nuclear applications, where a high level of fire resistance, good electrical properties and exceptional chemical resistance are a priority. Extrusion process parameters and the extremely high cost of fluoropolymers have been an obstacle to their use in cable insulation. With longstanding experience in fluoropolymer technology, Sampsistemi has engineered a special extrusion process which includes gas injection foaming. With this system insulating wire with fluoropolymers is no more difficult than polyethylene insulation. Mini-coax cables, CATV cables and radio–frequency cables are primarily characterized by their electrical impedance and the speed with which signals are propagated. The common denominator of both signal propagation and dielectric constants is the cable insulation material. Nowadays, market demand requires very low dielectric constants which can only be achieved by physical foaming extrusion processes. With a wealth of experience in physical foaming by nitrogen injection, Sampsistemi lines can obtain a dielectric constant of 1.2, which corresponds to a polyethylene foaming degree of 81%. Other important cable parameters, such as low attenuation and structural return loss, require extremely high precision from all extrusion line components, since it is necessary to achieve a line speed stability of 1/10000 without extruder output pulsing: no problem for Sampsistemi lines!